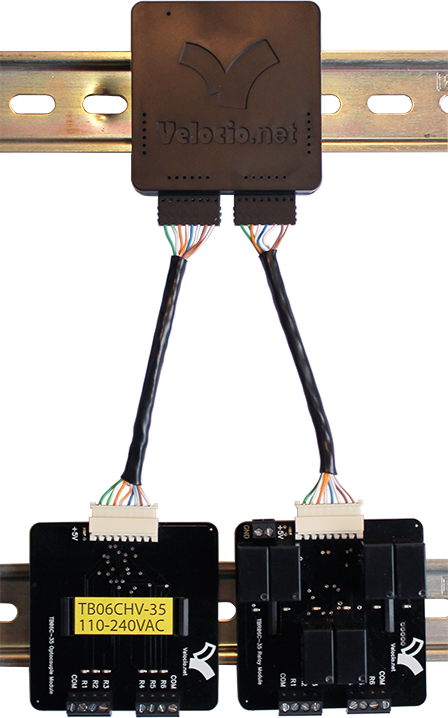 Ace & Branch PLCs come with small, high quality spring-cage capture connectors. They’re made for 20-26 AWG wire. These connectors along with built in protected inputs and sinking transistor outputs work great for many cases, but sometime you need something more. We’ve got you covered. 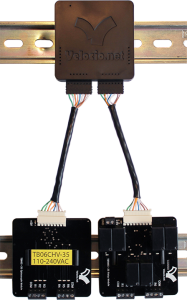 All Terminal Boards come with a pre-terminated 18″ cable to connect to your PLC. Terminal Boards are designed to mount to standard 35mm DIN Rail or a pair of #8 Screws/Bolts spaced horizontally 1″ apart. Click to Download TB06-35 Datasheet. 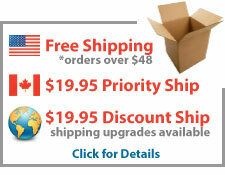 Provides screw termination. Wire Size: 26 to 16 AWG. Click to Download TB06CLV-35 Datasheet. Takes 24V AC or DC inputs and converts them to DC signals compatible with Ace and Branch PLCs. They provide optical isolation, so that there is no direct electrical connection between the external device originating the signal and the PLC. Click to Download TB06CHV-35 Datasheet. Takes 110 to 240 VAC inputs and converts them to DC signals compatible with Ace and Branch PLCs. They provide optical isolation, so that there is no direct electrical connection between the external device originating the signal and the PLC. Click to Download TBR06C-35 Datasheet. Provides relay contact connections for digital outputs. These relay contact outputs switch AC or DC power, up to 5Amps per channel, 10Amps per Common. Click to Download TBTN06-35L Datasheet. Provides optically isolated sinking transistor outputs for digital outputs. Each output can sink up to 2 Amps, 10 Amps per Module. Click to Download TBTN06-35H Datasheet. Provides optically isolated sourcing transistor outputs for digital outputs. Each output can source up to 2 Amps, 10 Amps per Module.